The Husqvarna VITPILEN is a new breed of small, lightweight, premium motorcycle from Husqvarna, designed at KISKA. 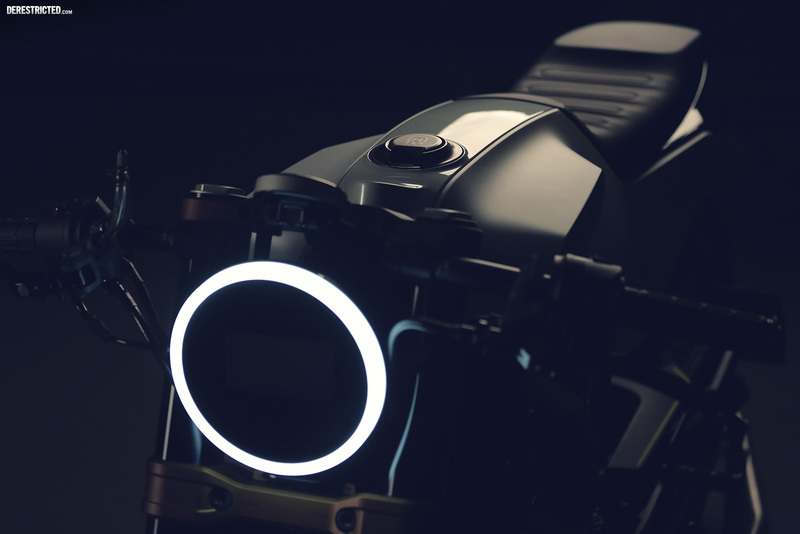 We came in late at night last week to shoot the 2 different bikes before they were whisked off to the EICMA motorshow in Milan, and with the press launch having just happened it’s time to share them with the world. 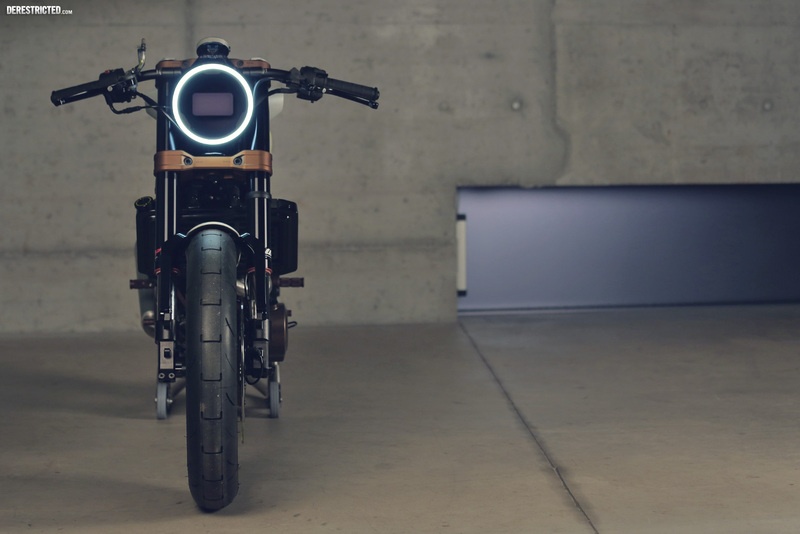 “With the Vit Pilen, we took the same platform and reduced the bike to its core. 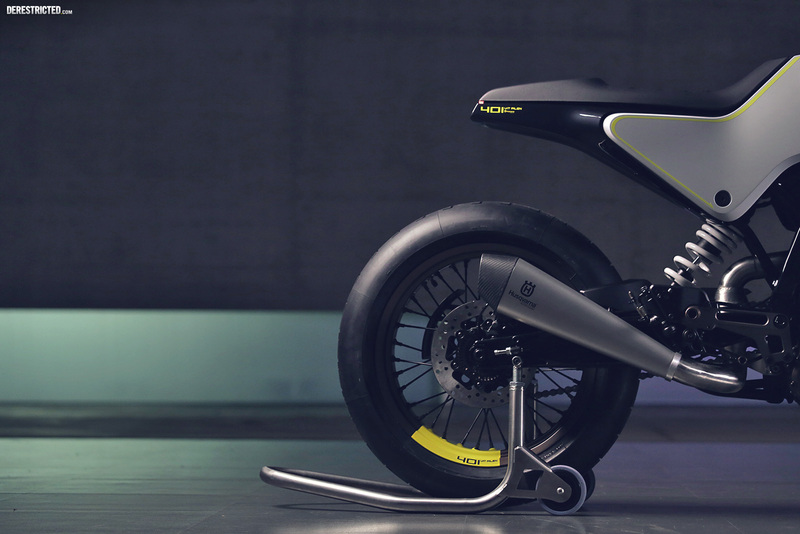 This model is meant to show how simple and pure a roadbike can be…. 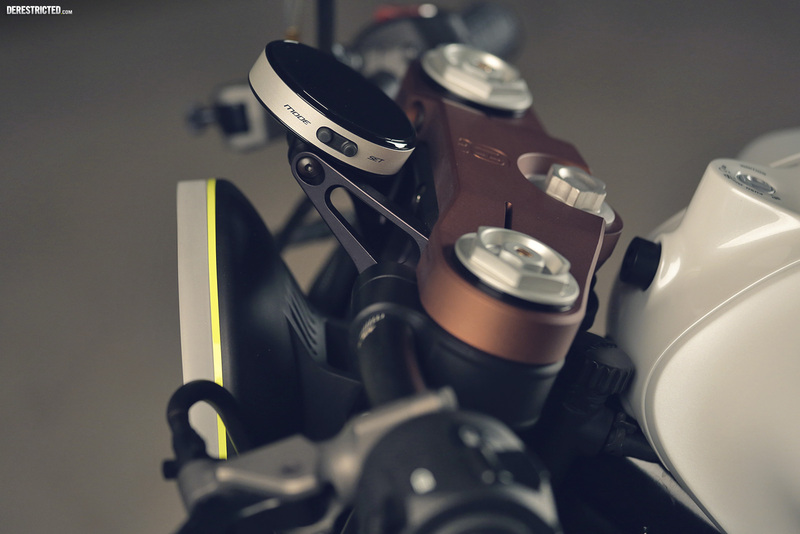 Low clip-ons are mounted to stout custom triple clamps, helping gets the riders weight forward. 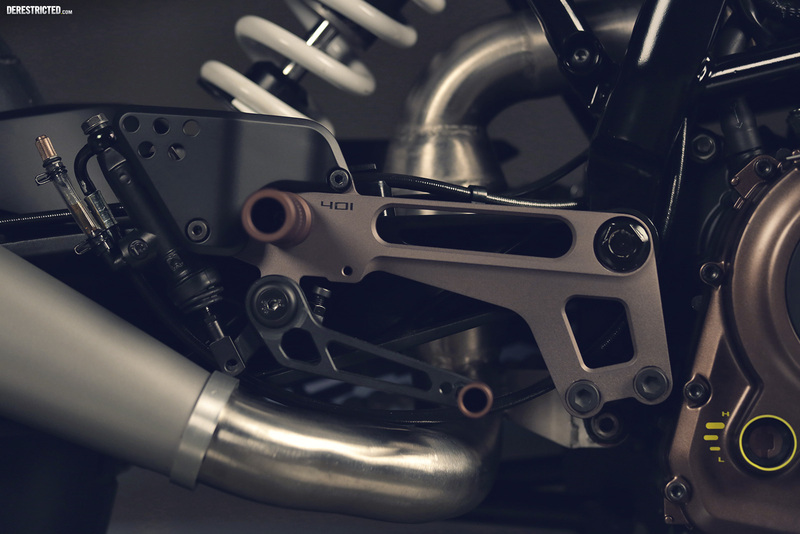 The riding position is reinforced by custom rearsets, giving the rider more clearence in the corners. 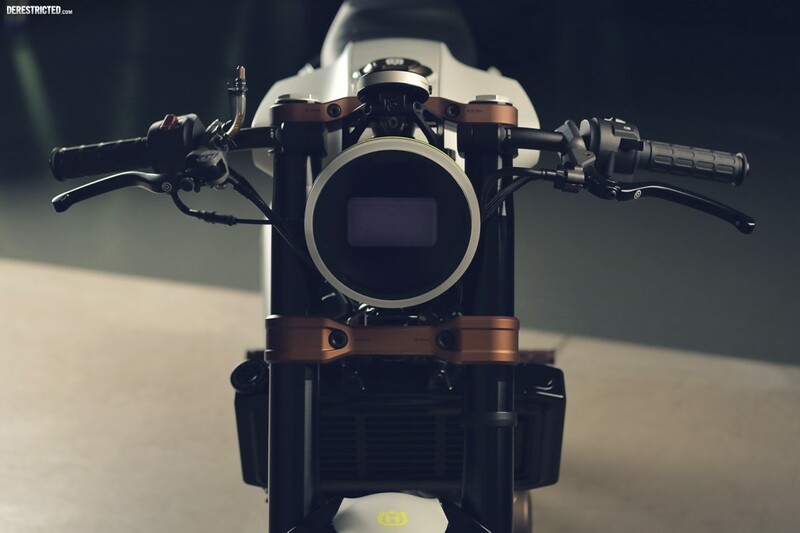 Every detail on the bike is designed to communicate in harmony. Take for example the triple clamps…the bolts come from the front, allowing the surfaces to be as clean as possible. Even the headlight holder is integrated into the triple clamps, performing two tasks by also supporting the fully digital display. 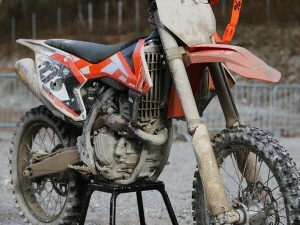 Keen eyes will notice that this is the same set up on the Svart, only that bike has the integrated lamp guard…. 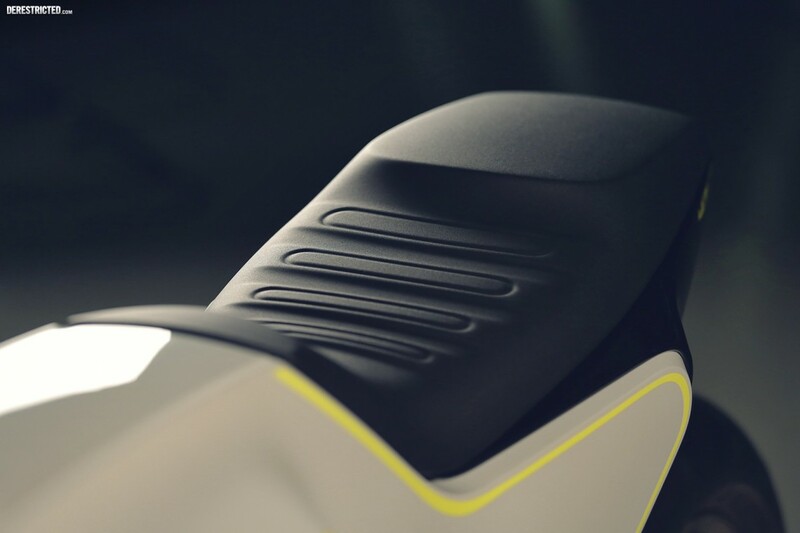 When we designed the details, it was important for every part to carry the same philosophy. 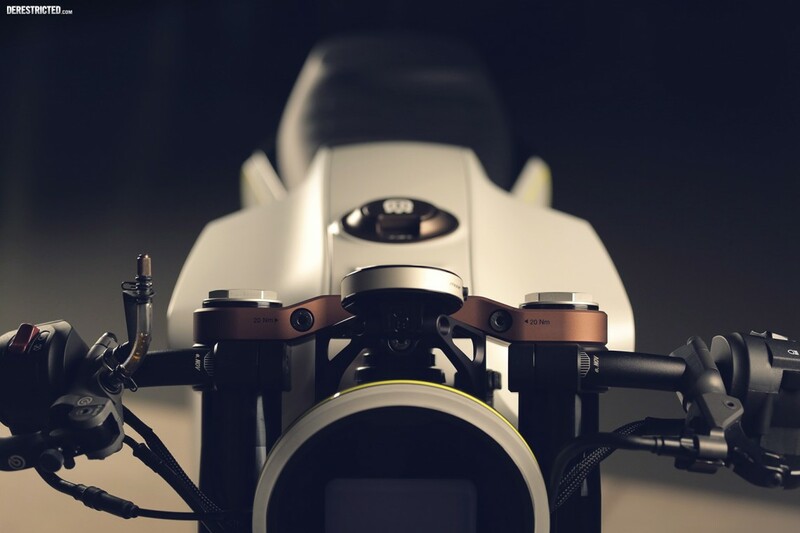 Examples like the triple clamps and rearsets illustrate this….but look closely and you’ll soon discover its in the entire bike. 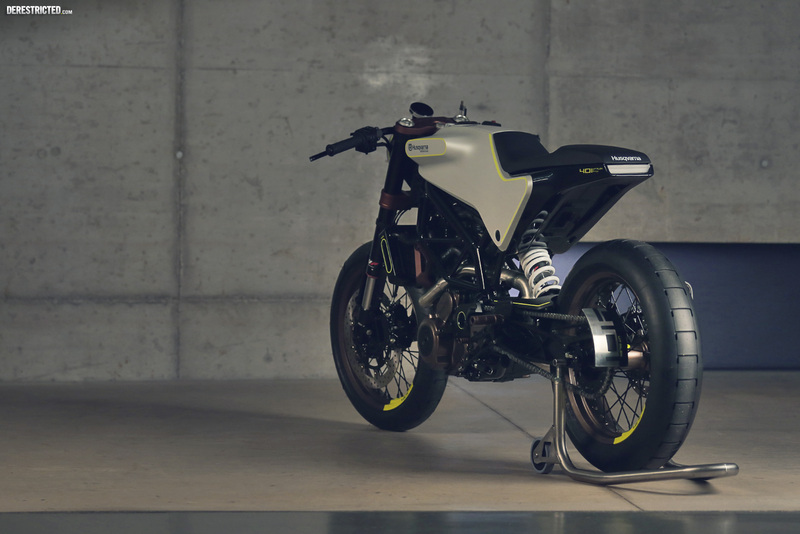 From the engine cradles to the fenders, each part has been constructed with the husqvarna ideals of simplicity, honesty, and cleaniness in mind. Even the muffler, no crazy trapezoidal multi barreled ray gun sticking out the back here…just a clean oval section that provides good clearence in the corners. In 1955 Husqvarna introduced a revolutionary motorycle. 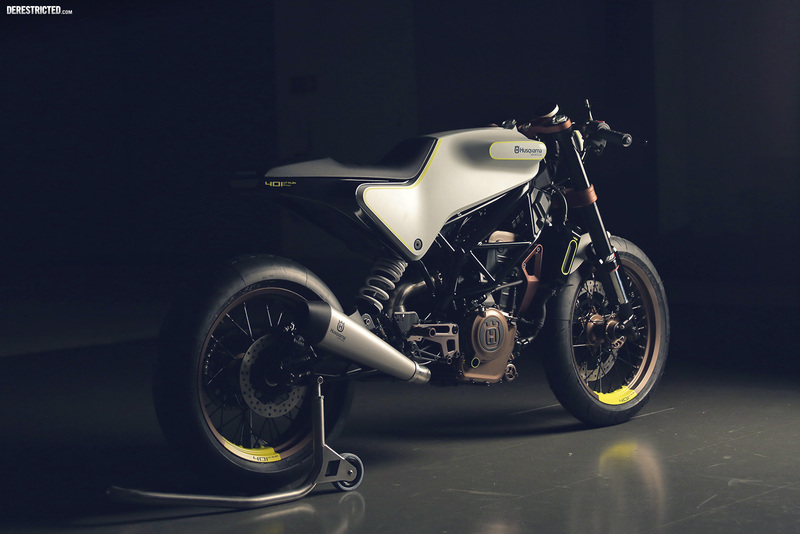 While other manufacturers insisted on going larger and heavier, Husqvarna went lighter, smaller and..faster. The SilverPilen or “Silver Arrow” was a special motorcycle. It was a combination of a compact high output motor in a state of the art featherweight chassis that provided the base for an icon. 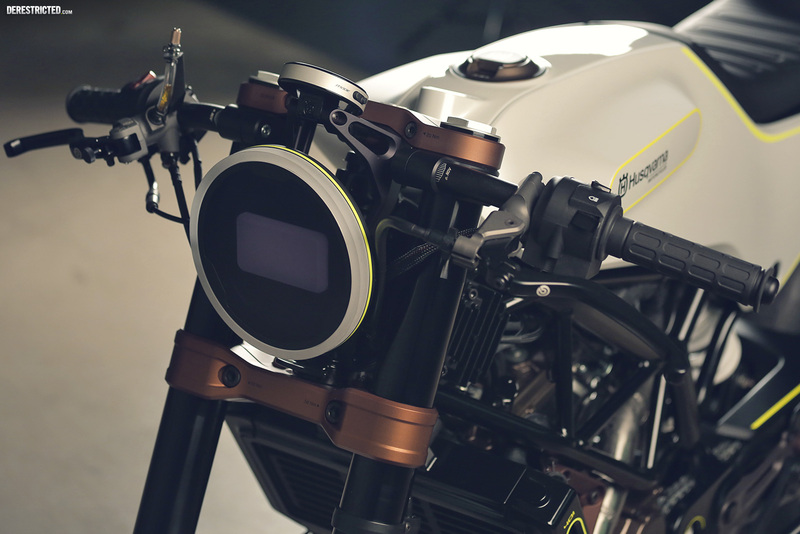 Husqvarna then utilized the talents of Sixten Saxon, a legendary Swedish industrial designer, to pen the beautiful shape of the Silver Pilen. Both the chassis and the appearance went on to directly inspire the furious red and chrome bombers that later dominated the off-road racing scene. 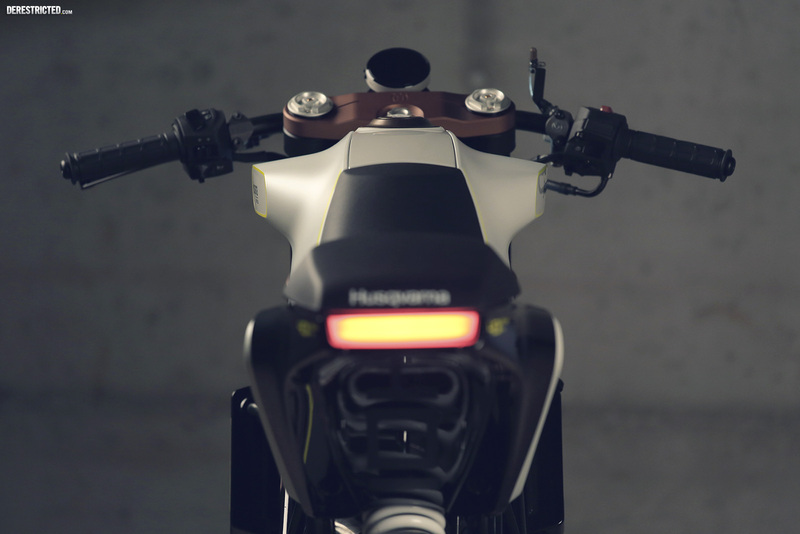 Almost sixty years later, Husqvarna is reinventing the concept of a small lightweight premium motorcycle. Once again, a high performance engine is housed in a lightweight compact chassis. The Avant garde aesthetics are the result of a partnership with another legendary designer, Gerald Kiska. 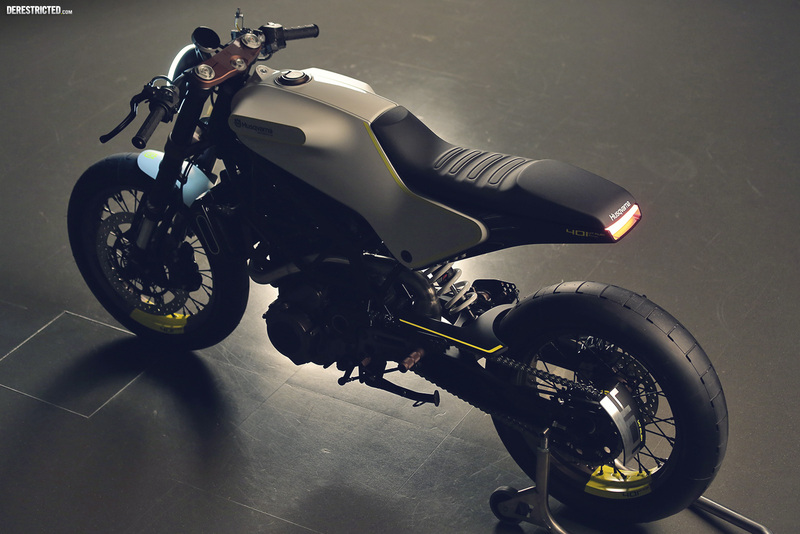 The 401 Vit Pilen “White arrow in Swedish,” and the 401 Svart pilen “ black arrow” are today’s Husqvarnas. They are not recollections of the past, but rather future interpretations of what defines a modern motorcycle. “It wasn’t our goal to do a “retrograde” design. When we looked at the 55’ Pilen, it wasn’t so much a source of visual inspiration as it was philosophical. I wanted to “cook” so to speak, using some of the same ingredients, but I wasn’t interested in copying the recipe. 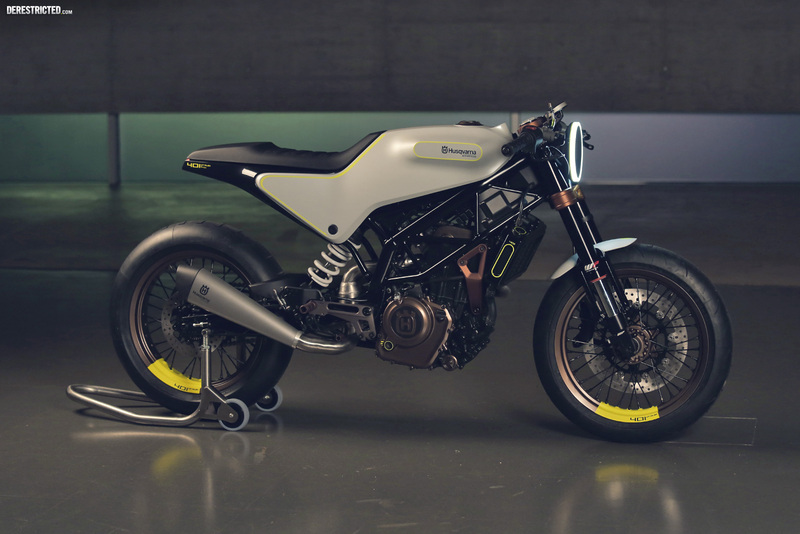 Purity, simplicity of form, economy of line, all the fundamentals of Husqvarna design language, doesn’t matter if it was 60 years ago, or now…the same mentality remains,” says senior designer, Björn Shuster. 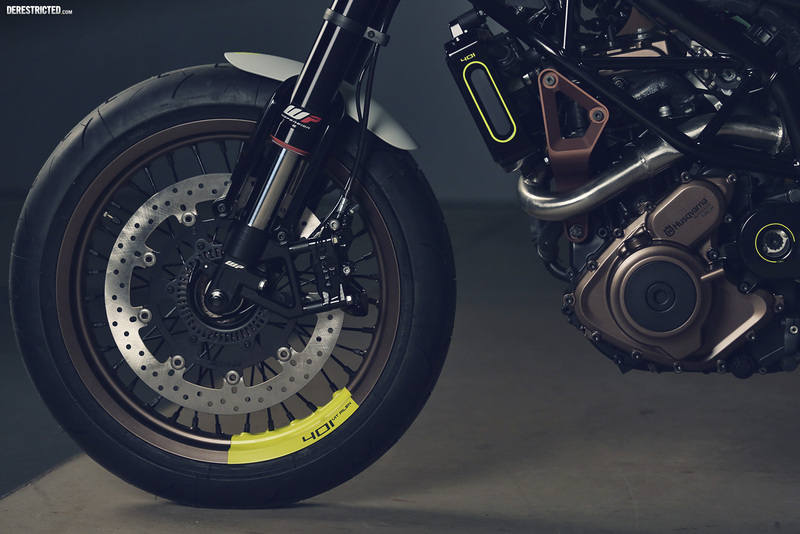 Sporting upside down WP forks, lightweight trellis frames, powerful brakes,17 in wheels with modern rubber, and a powerful 400cc engine, the 401s are anything but antiquated. 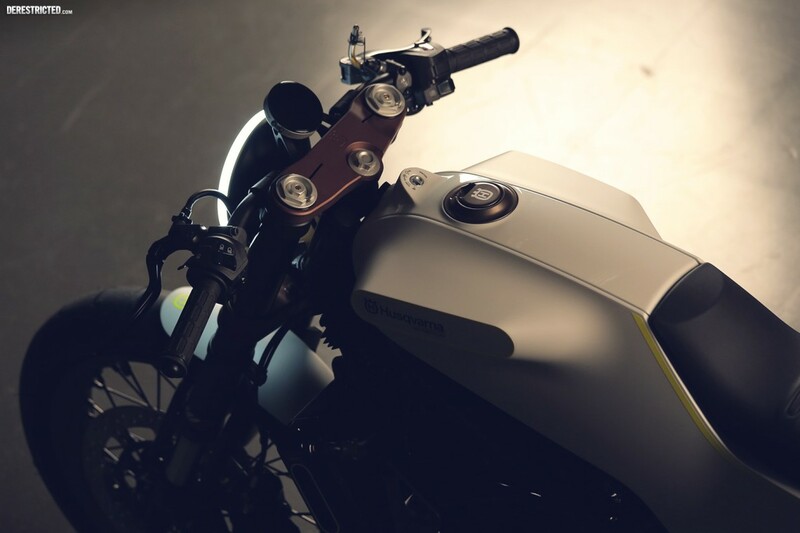 The pure forms and clean design enable a degree of versatility that is not often found on contemporary motorcycles. The Contrast between the Svart Pilen and the Vit Pilen showcases not only the visual variation, but also the functional intent that can be achieved on these bikes. 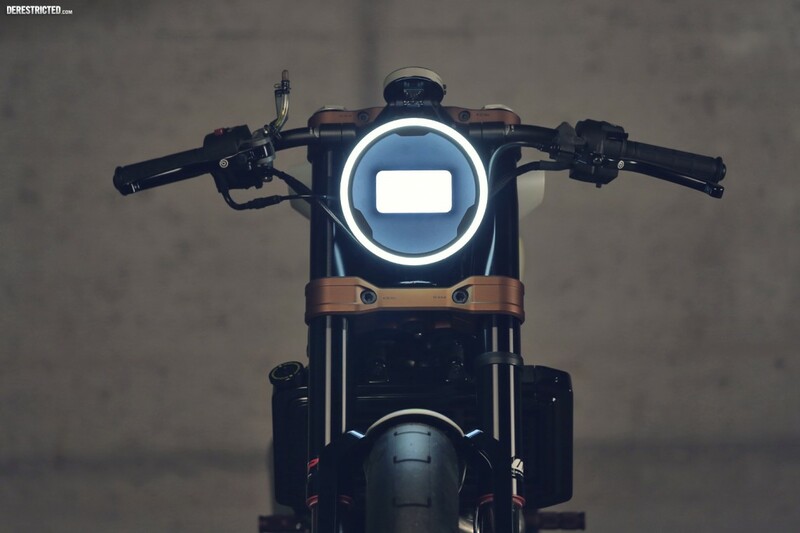 “A lot of modern machinery has become so hyper focused that it is difficult for the customer to inject a little of his/her own style into the bike, we wanted to create a platform that offers you a little more freedom. You want to run tall bars and run a high pipe for some fire road fun? Or perhaps you want a little more weight over the front end at your next trackday with the clip-ons? Maybe you just prefer one stance to another, it’s up to you!” says Björn. “I’ve always been a fan of seventies bikes, in fact my very first road bike 21 years ago was a little cb400f. And who doesn’t love the unified bodywork of classic Spanish off-road bikes like an early Cota, and there’s always gonna be something really juicy about Vetter’s Hurricane..But I’m also a big fan of today’s brakes, the levels of grip, and the amount of punch coming out of today’s engines. 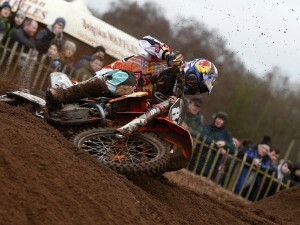 And of course it’s nice when bikes start ;-). I had a little 305 Superhawk that I swear was flexing by more than a couple inches every time you put it in a corner, and the rim brakes on my mountain bike were far superior…but I still loved it. 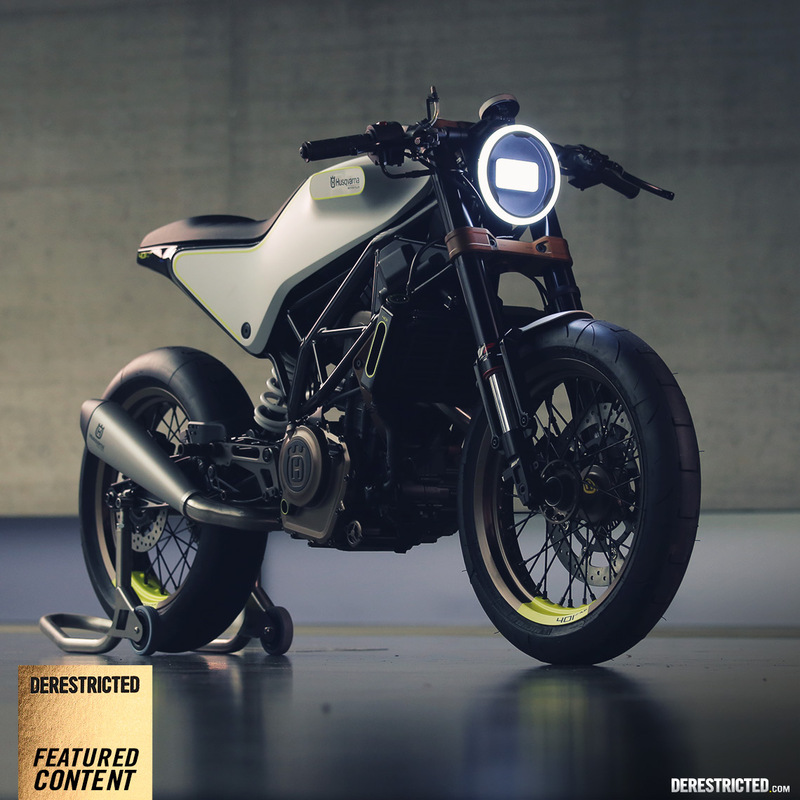 “The concept for the color, trim and GFX on the Husqvarna 401 was to underline the features of the bike using clean, minimal GFX. 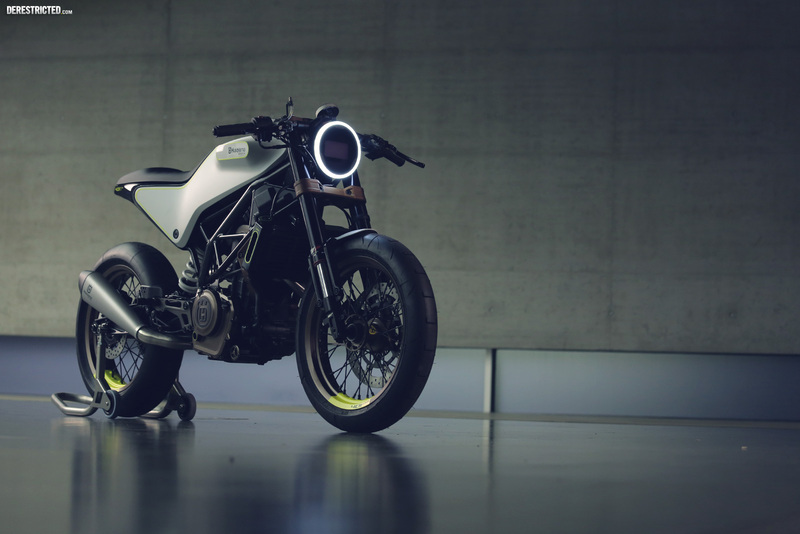 The lighter colors and high contrast of the VITPILEN emphasize it’s fresh, progressive nature. 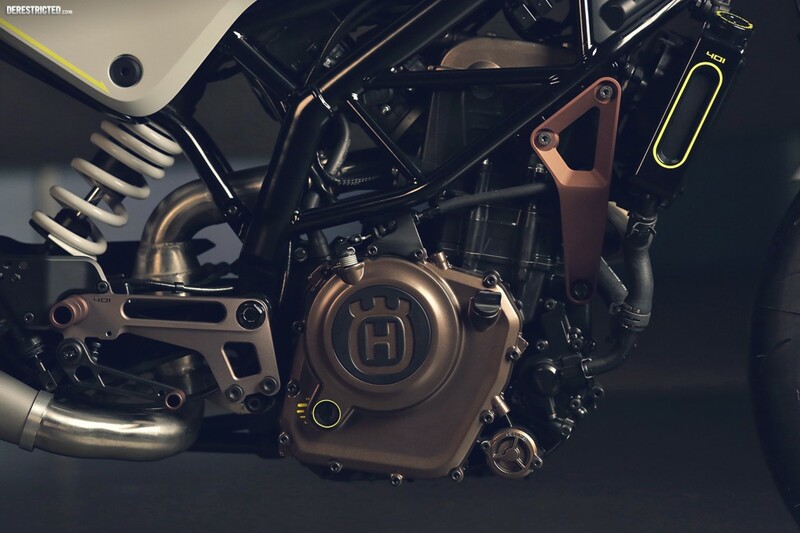 The goal was to highlight the inherent quality of the components, using bronze anodizing on key elements together with a hit of yellow to call attention to some of the details” – Elvin Helias.